Ticket sales end at midnight on October 31, 2017. Food from local chefs, open bar, and dancing! JLA will commemorate 35 years of service to the community with recognition of the league’s past presidents. All proceeds will benefit JLA’s current community projects and the organization’s training of its civic leaders. 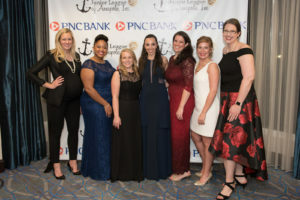 Junior League of Annapolis celebrated 35 years of service with the Anniversary Gala on November 3, 2017 at the DoubleTree by Hilton Hotel Annapolis. League members, friends, and families honored JLA’s dedication and commitment to supporting the local Annapolis community. JLA Past-Presidents were honored and remarks were made by the 2017-18 JLA President, Susan Ridenhour. The event also included celebratory remarks from the Honorary Gala Chair, Dania Blair Schuh and Community of Hope in Brooklyn Park Executive Director, Dr. Pamela Brown. Thank you to our 2017 Sponsors and all who attended! Funds raised will help the league’s mission-based programs and empower its members to become strong volunteers and civic leaders in the community! 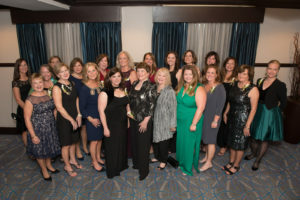 Click here to view this year’s gala photos. 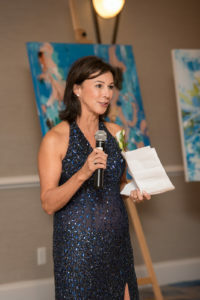 To partner with JLA on one or more of these opportunities, please contact Gretchen Davis or Natalie Phillips, Co-Chairs of the JLA Gala Committee, at gala@jlannapolis.org.